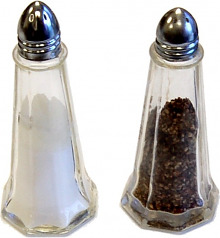 Fake Food Salt and Pepper shakers. Car hop tray accessories, display items. Fake Food Salt and Pepper shakers.